Wow ! We made it. We were in the car for a long time, but we feel fine now. A few years ago we couldn't think about that. 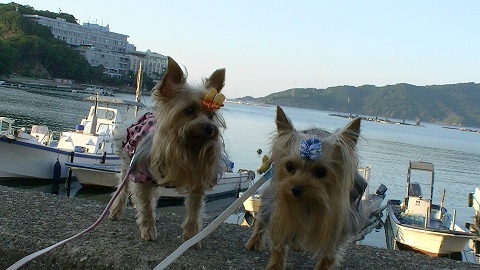 Copyright © WE　LOVE　DOGS　ヨーキー ブログ All Rights Reserved. Powered by FC2ブログ.